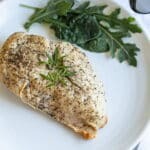 This is my first Flavors of Summer Virtual Picnic recipe. It’s for a frozen wine dessert recipe that I can’t wait to share with you. 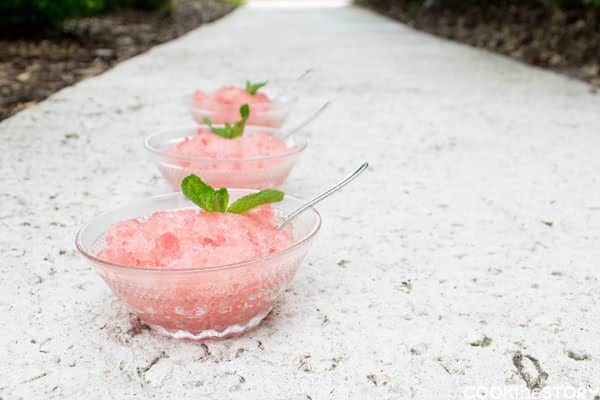 This Watermelon and White Wine Granita is super-simple to make and isn’t very sweet. Light and refreshing, it’s the the perfect end to a summer meal. I know I’m not a teenager anymore. And not a young adult either. I am firmly in the middle-aged-mom phase of my life. But sometimes it feels like I’m even older. You see, while I rarely walk into a room and forget why I’m there, I do find myself staring at the blinking cursor on the Google Homepage asking myself, “What was I going to search for?” ALL the time. Last week I sent an email to a local frozen yogurt shop telling them that their music was too loud. I also complained about the TYPE of music they were playing. Crochety old lady, or what? And finally, I recently realized that I don’t like super-sweet things anymore. Not the forgetful part. Not even the crochety-old-woman-who-thinks-the-music-is-too-loud part. I’m coming to terms with both of those. This not liking sweet stuff is kind of new and hasn’t full sunk in. I routinely find myself ordering, buying and even making sweet drinks and desserts. 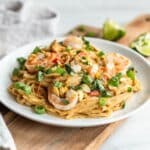 My brain thinks I like them but when I bite in, my taste buds no longer feel the love. So yes, I’m starting to act like an old lady and that seems to mean that I no longer like the sweet stuff. What it also means is that I’ve been trying to come up with less sweet desserts. 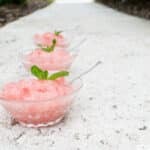 Imagine my delight when I discovered that my Watermelon and White Wine Slushy drinks from last week also make for a frozen not-very-sweet wine dessert. 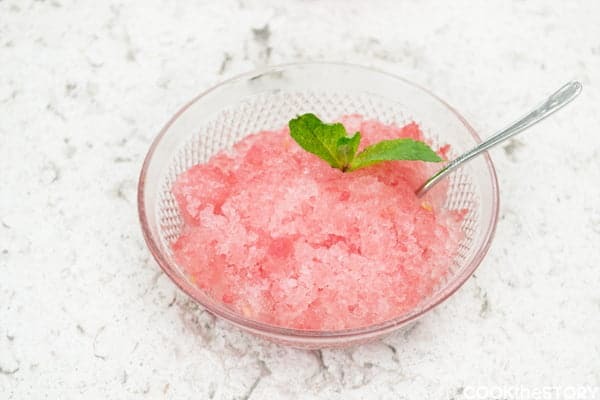 The best part is that you can make a big batch of the slush and then use it however you want once it’s frozen. 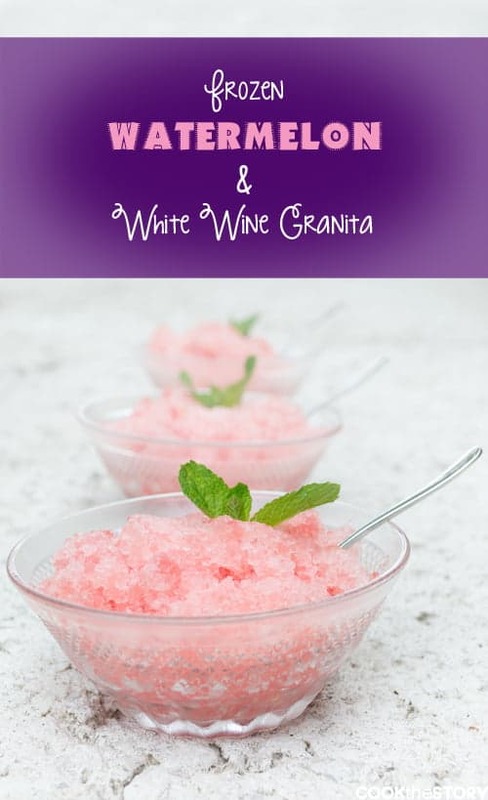 You can have a white wine slush one day and then a frozen wine dessert the next day. 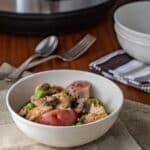 A multi-purpose wine recipe! Even my crochety-old-self has trouble finding fault with that! If you want to make it as a drink, do the same thing but follow the last bit of instructions over here at the frozen drink recipe. 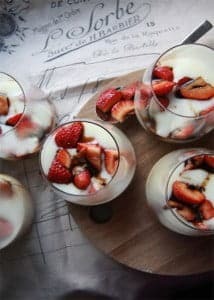 This is a super-simple, not-too-sweet refreshing dessert that is perfect for hot summer nights. Put the watermelon, the lemon juice, the sugar and the cold white wine into a blender and whiz it around until it is smooth. Pour the mixture back into the ziplock bag and back into the freezer. Leave it there until it is good and frozen squishing it around every now and then. 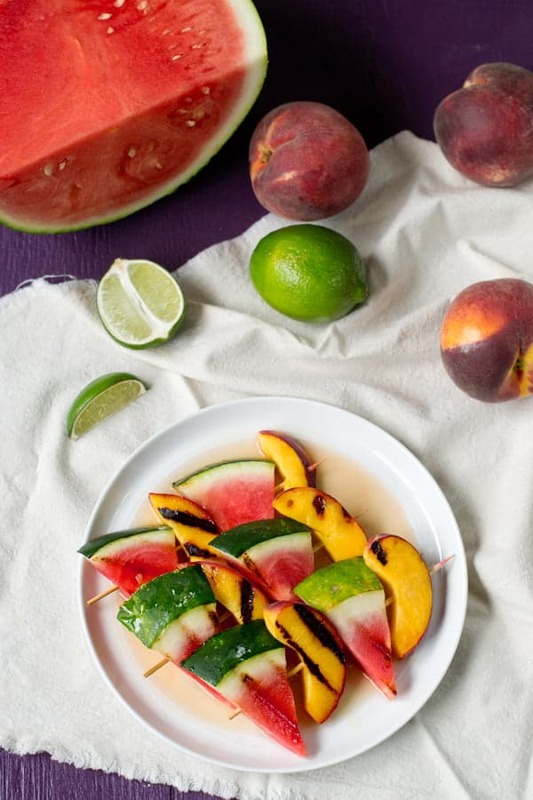 Serve it in little bowls for a refreshing summer dessert. There have already been so many delicious recipes in our Virtual Picnic. You absolutely have to go check out the Strawberry Lemon Pudding over at Jane’s Adventures in Dinner. I bet the balsamic vinegar in there totally cuts the sweetness. 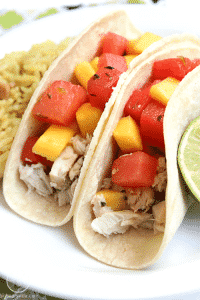 Ooooo…and aren’t these Mahi Mahi Tacos with Mango Watermelon Salsa by Big Bear’s Wife beyond summery? The giveaway that was located here has ended and the entry form has been removed. Stay tuned for more giveaways in the future! Christine I love everything about this dessert–it’s my kind of dessert! Love the color of this and it sounds very refreshing! Thanks Abbe! It is such a bright and light dessert. Oh my gosh I can’t stop laughing. You crochety old woman, you. Very pretty pink colors! I’m loving granitas lately! Oh I am just cracking up because I do find myself doing old lady things too…sigh. But his dessert is super classy and elegant just as you are! Cathy, You just made my day. Me, classy and elegant? Love feeling that way.